Granite is a very durable stone. However, granite is not impervious to chips, stains, or cracks. Notice the chip in the BEFORE image. If and when chips do occur, we can fill in the chipped area to match the surrounding stone, and then polish, leaving you with a virtually invisible repair. The chip is not discernible in the AFTER image. Other granite problems can be resolved with professional stone restoration services such as from cleaning and polishing to honing, grinding, and sealing, leaving you with a completely, restored and refinished surface that looks as good or better than the day of installation. 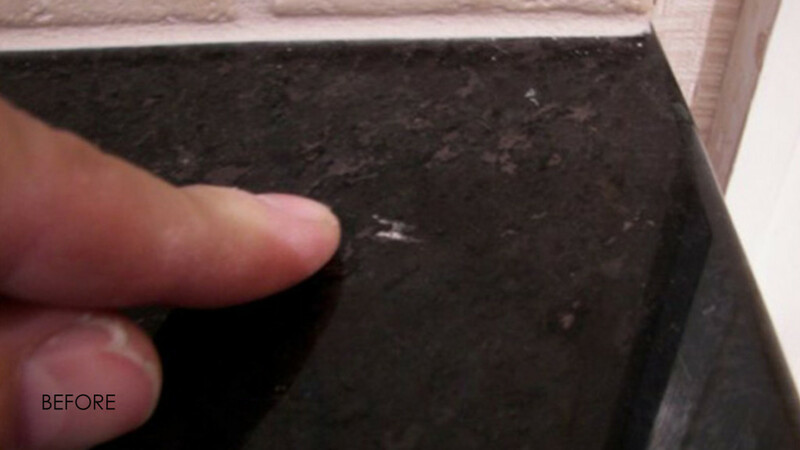 Don’t replace your damaged granite, have it professionally repaired, maintained, and protected. 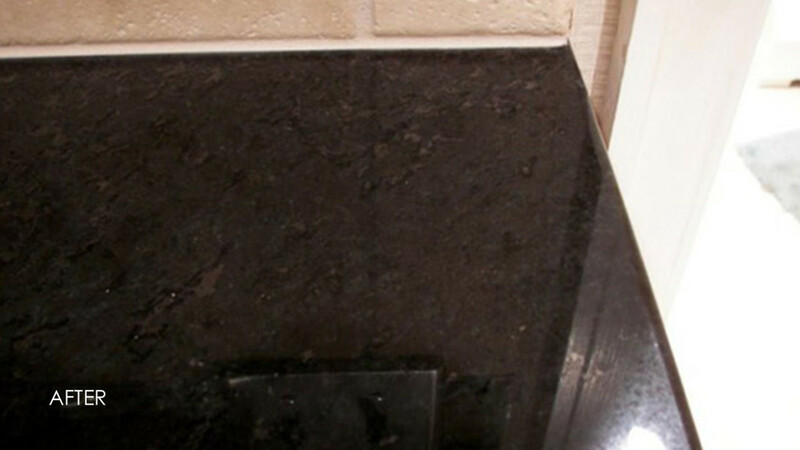 To learn more about granite refinishing, visit our Granite Services page. Techstone provides expert granite countertop restoration services, as well as granite floor polishing. If you’re located in any of our service areas, contact us online or call 1-888-570-2859 today for a free estimate.